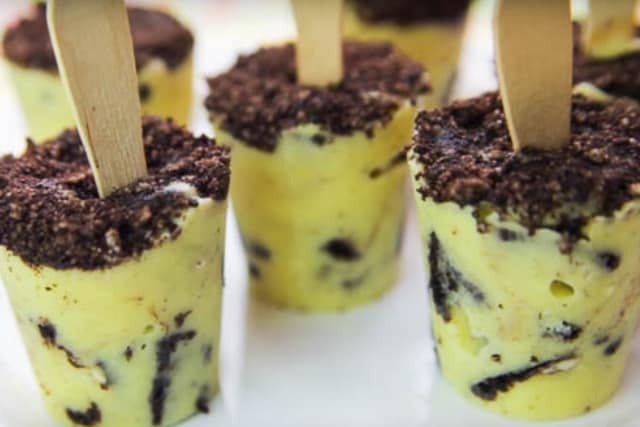 This super simple 3 Ingredient Oreo Popsicle hit the spot when the weather heats up! A yummy frozen treat! 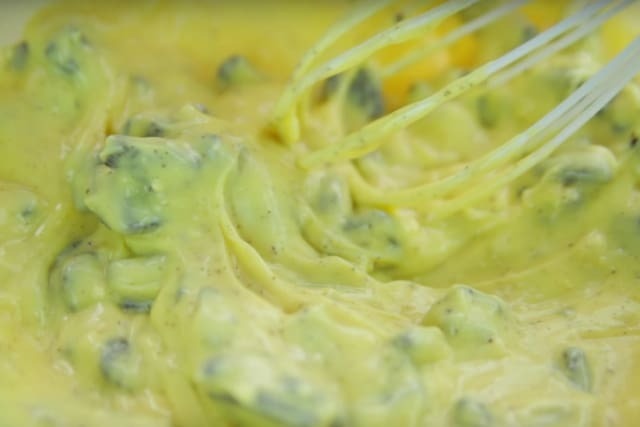 Every time I see a 3 ingredient recipe, I’m always down to make it. 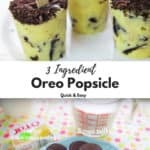 Especially if the recipe has oreos! 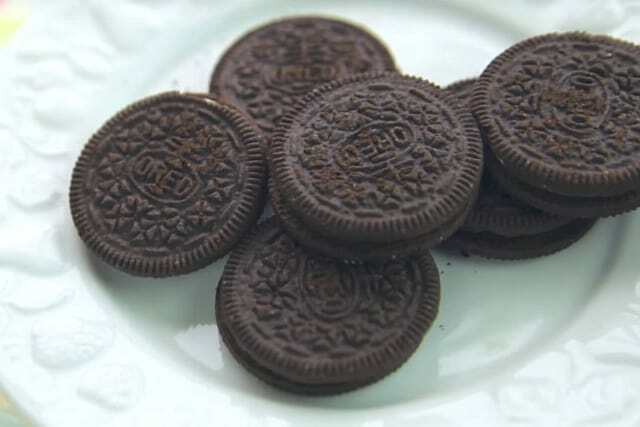 I have always loved oreos cookies and when I found out it was vegan, I knew in my heart oreos and I was meant to be. Lol! 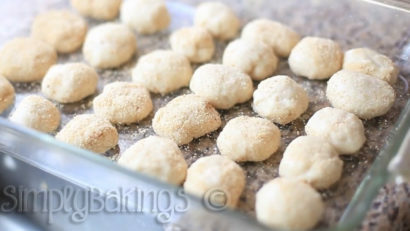 Anyways, this recipe is foolproof! There is no possible way to mess it up, I promise. Unless you purposely do it, but that’s on you friend. 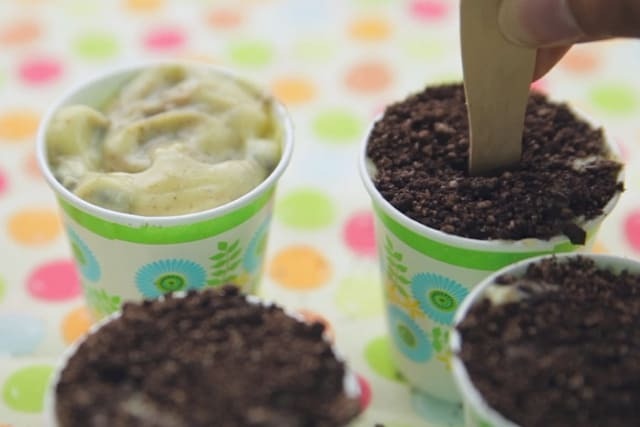 Also what’s really cool about this recipe is you don’t need a popsicle mold, you just need a cup and a stick. 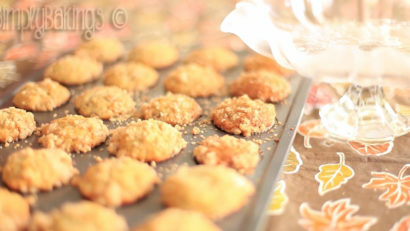 I hope you enjoy the recipe!! 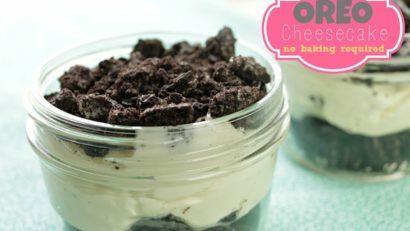 If you love easy recipes using Oreo Cookies, check out 5 ingredient Cheesecake Oreo Cookies, No Bake Oreo Cheesecake or Oreo Milkshake. 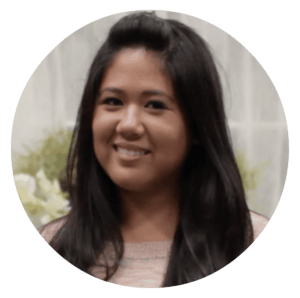 I promise you will love each recipe! If you are a visual learner like me, watch my video below! 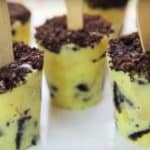 These super simple 3 Ingredient Oreo Popsicle hit the spot when the weather heats up! A yummy frozen treat! 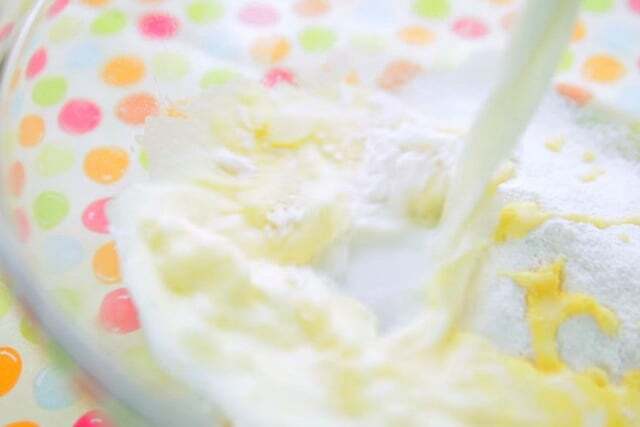 In a large bowl add the instant vanilla pudding, 2 cups of milk, and cream together until the pudding thickens which is about 2 minutes. Set aside 6 Oreos. 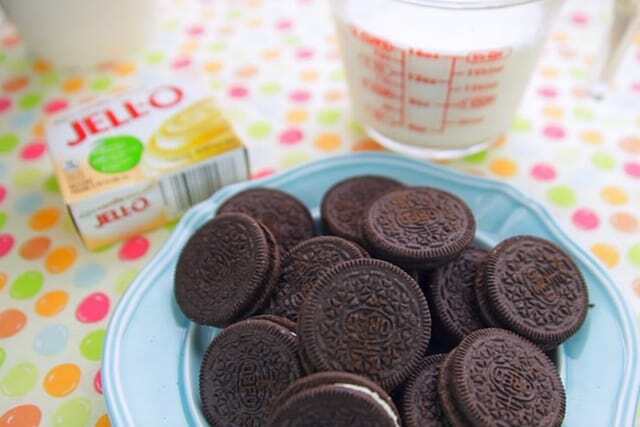 With the rest of the Oreos, break into bite-size pieces, then add it into the pudding. 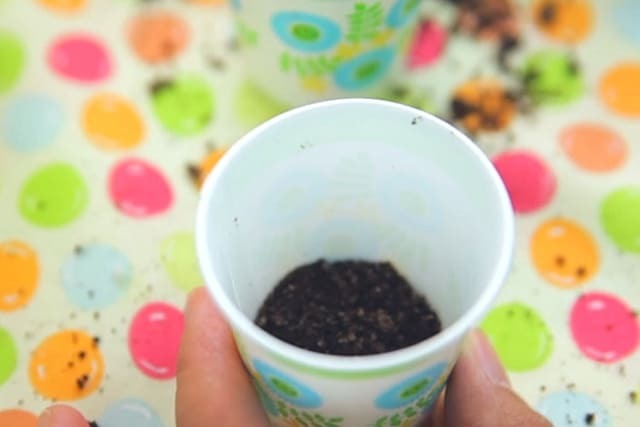 Using the food processor or blender, blend until fine crumbs form and then place about 2 teaspoons of oreo crumbs into the small cups. 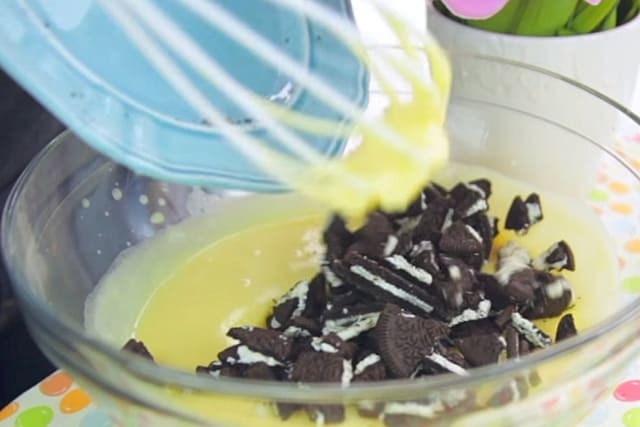 Add the pudding, and the finish it off with more crushed oreo crumbs. Insert the small popsicle sticks and freeze overnight. Wow, it’s really easy to make! Hi Janelle, it is! Plus it’s great for kids to make because it’s so simple. 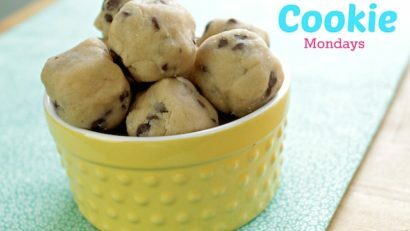 Can’t believe this only has 3 ingredients! Yum!